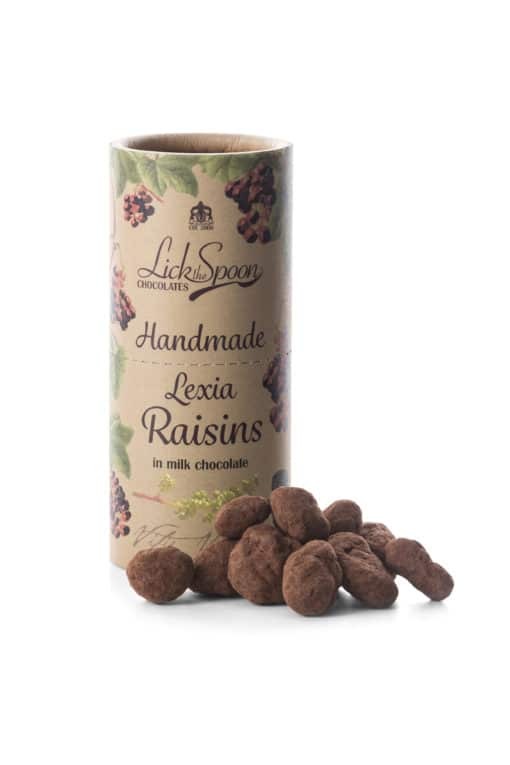 Our new Handmade Lexia Raisins in milk chocolate. 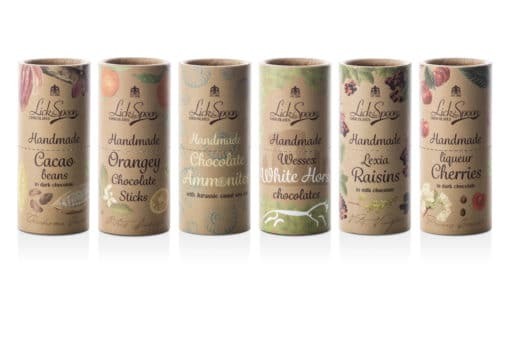 Some things are born to be together… strawberries and cream… gin and tonic… raisins and chocolate! 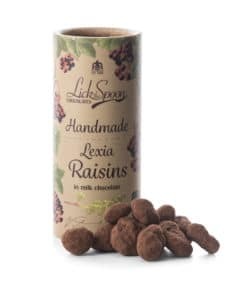 We have given this classic combination a much deserved luxury lift, using succulent lexia raisins hand rolled in our high cocoa, single origin milk chocolate. Completely biodegradeable plastic free compostable packaging. Beautifully illustrated. The tube is made in the UK from recycled card. Please recycle in cardboard recycling or make a pen holder!